Scottscope: Jeremy Renner Rages against the Machine on This Week’s Scottscope Podcast! Jeremy Renner Rages against the Machine on This Week’s Scottscope Podcast! On this week’s edition of Scottscope, we discuss The Bourne Legacy, the fourth entry in the Bourne Film series. How does it compare to the first three films? Should the franchise have stopped with The Bourne Ultimatum? Are Jeremy Renner and Tony Gilroy suitable replacements for Matt Damon and Paul Greengrass? 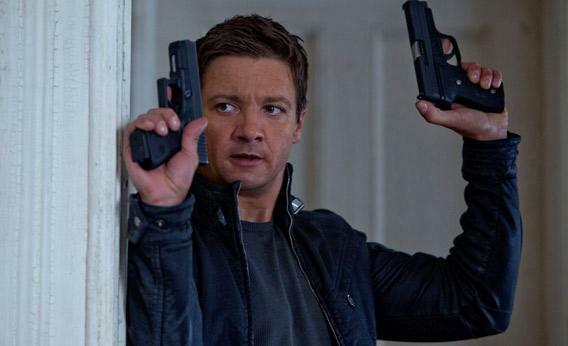 Does Jeremy Renner have the star power to carry an action franchise such as this? Should Tony Gilroy have stuck to screenwriting? Has any film series produced a fourth entry that was worth watching? The roundtable will also take a look at the current state of the action genre. Do jaded fans expect too much from it? Is there still a market for traditional action pictures like the ones from the 1970’s and 1980’s? Do current stars like Jason Statham deserve comparison to the greats of yesteryear? Do feature length nostalgia trips like The Expendables 2 make the genre look silly? Were the 1980’s truly the “golden age” of action cinema? Is the “chaos cinema” aesthetic ruining the genre? The fireworks start tonight, August 13th, at 8pm EST. It’s going to be one Hell of a party. All true connoisseurs of action cinema are encouraged to stop by. Be sure to take your side arms off safety, and don’t forget your bulletproof vests!